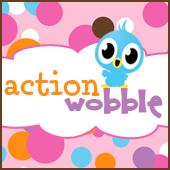 Thanks for selecting my card for the Wobble Wednesday Challenge. I had fun with this one! I have sent my information to you for my prize. Thanks again! Congrats to the winner! !Super Cute card! Such a fun challenge! Thanks for letting me play along! Who was the winner of Ckallene #36?